Do you live in an area within reach of the coast? Surrounded by hills? Susceptible to high winds? Or do you have an uneven roof pitch? 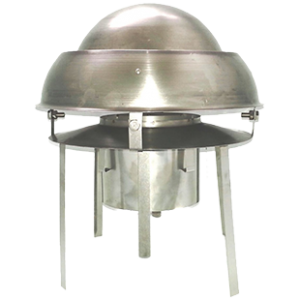 The Mini Eurocowl is the answer to all your chimney needs and it comes with an added specialism in dealing with downdraught issues. Deliberately designed to cure smokey fireplaces & stoves by directing wind across the chimney pot as opposed to down and into the flue, all the while enabling the harmful emissions to escape freely out of the top. 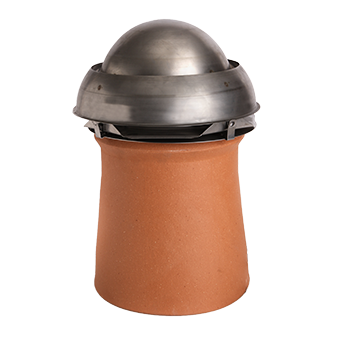 This design also protects the chimney from rain as the dome top covers standard chimney pot openings and the rain will run down onto the flange and away from the flue, driving rain from the side is kept to a minimum with the outer skirt protecting the sides. 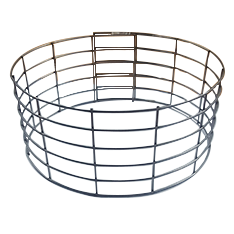 A mesh birdguard comes fitted as standard for gas and oil Mini Eurocowls, a birdguard is also available for stainless steel versions but only when used on a gas or oil appliance. The Mini Eurocowl is the ultimate multi fuel anti-downdraught cowl and is also the most versatile as it can be utilised with the Twinwall Adaptor, The Pot Hanger Adaptor, and as the Mini Hanging Cowl is now part of the pot hanging family. 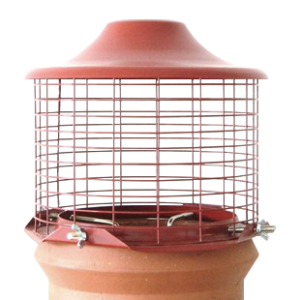 Eurocowl strongly suggests fitting the stainless steel version when burning smokeless and other solid fuels, and in coastal areas or areas that are exposed to extreme weather. Available in 316 stainless steel for solid fuels or aluminium for gas & oil and in a choice of our standard 5 colours (natural, terracotta, sienna, cotswold stone & black), and can be fitted with a hook bolt kit or the more popular jubilee band and straps.